Owning a house in Provence (the French region of Provence Alpes Côte d'Azur, or PACA) is the ultimate dream of many British house hunters. PACA was beloved of British royals and the super rich as long ago as the 18th century. And it just went from strength to strength with the patronage of film stars and the jet set after the end of World War II (Coastal Provence - Land of the Rich and Famous). Next came Peter Mayle, whose book, "A Year in Provence" persuaded hundreds to head for the Luberon in search of a lavender-scented Provencal idyll. They found the idyll, but as a result, property prices pushed higher and higher. Property seekers with less wealth began to avoid Provence (Provence-Alpes-Côte d'Azur Property Guide), thinking that property there would be out of reach. It is still the most expensive region outside Paris, but aside from the fabulous millionaire's mansions (of which there are plenty!) there are places where affordable property can be found. You just need to know where to look. We've found some great affordable properties which we have listed below. The recent economic situation certainly has hidden benefits for property seekers! The region is arguably the most blessed in all of France. It's got a fabulous Mediterranean climate and coastline, a mouth-watering gastronomy and is impossibly picturesque. Imagine waking up to views of olive groves and lavender fields every morning! Or, living beside the glorious Parc du Verdon, near the famous gorges! Why not look at the glamorous city of Nice? Nice is the region's undisputed capital city. Cosmopolitan, oozing wealth and glamour, Nice is the archetypal Rivera town. The harbour is packed with the gigantic and luxurious yachts of the super rich, and the upmarket restaurants line the quayside. The Mediterranean Sea sparkles a brilliant blue in the almost constant sunshine. Nice really is a stylish piece of heaven on earth. You'd imagine property in the best areas of Nice would be sky high in price, and some of it surely is. But there are some great bargains to be found if you keep your eye on the market. We can help. If you have a higher budget, Provence really is the region to find something special. We have four properties around the million mark and above listed here. PACA property - who buys here? Provence appeals to anyone who appreciates the finer things in life. In this region of southern France this means a near perfect climate (The Winds of France), fine food and wine, beautiful land and seascapes and a stylish and comfortable lifestyle close to excellent amenities. Provence has a strong cultural identity too, with many festivals and traditions to enjoy. When it comes to activities and sports the region is second to none. The coast offers superb sailing and power boat sports among others, and Provence boasts more than 50 golf courses. Inland there is great walking, horse-riding and a catalogue of adventure sports, while even skiing is possible as you climb into the mountainous areas of the region. With twelve ski resorts there's plenty of choice for snow sports fans. Below we have picked ten of the best properties on the market in Provence in 2018. There's something here for everyone, whether you want a holiday bolthole in the heart of Nice's action, or a country idyll. Happy house hunting! 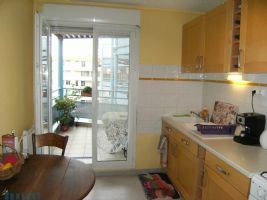 2 Bedroom apartment in SORGUES. 62 m² two bedroom apartment, comprising a fitted kitchen, living room, bathroom, walk-in wardrobe, hall, separate toilet, private storage room and communal storage room, option for garage. 100 monthly fees comprising heating and building maintenance. Sorgues is a commune in the Vaucluse department in the Provence-Alpes-Côte d'Azur region in southeastern France. Sales Agent Sextant France -Jean-Claude Albertini agent for LE PONTET- ref. 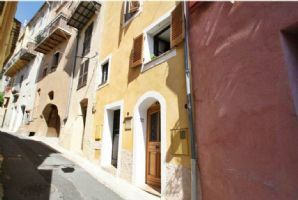 Sale Village house - Cagnes-sur-Mer 169,000 € 3 rooms - 2 bedrooms - 46 m2 Reference 1924557 - In the lovely village of Cagnes-sur-mer and close to the old castle lies this charming village house from the 20th century. Within walking distance to the village and close to shops and restaurants. This villa offers a living room, a fitted kitchen, two bedrooms, and one bathroom. Perfect investment, could be transformed into two separate apartments. Sale Apartment - Menton 280,000 € 2 rooms - 1 bedroom - 48 m2 - View : Sea Mountains Reference 571349 - Sunshine all day long and panoramic view, sea, mountains and the town. Apartment on the last floor in a villa from the 1900 with only three apartments, totally renovated. Living room with exit to the balcony and also to a smaller separate balcony. Kitchen corner, fully equipped, exit to the smaller balcony. 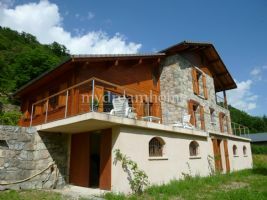 Bed and breakfast character property for sale in the Maritime Alps in the Mercantour National park. 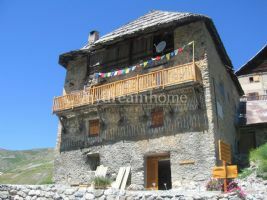 This one of a kind, high altitude farm house for sale in The Mercantour in The Southern Alps has been fully renovated and is currently run as a bed and breakfast in the summer months. There is a potential development with the attic (convertible 2 levels) and a barn of 250m to convert. 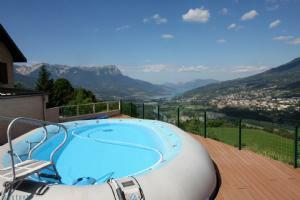 Large apartment with a superb terrace + impressive view over the Embrun lake. Large apartment with a superb terrace + impressive view over the Embrun lake. Comprising of: Large apartment (more than 100 m²) large 41 m² living room, kitchen, bedroom, wash room, walk-in wardrobe PLUS more than 100 m² of terraces with excellent exposure and an exceptional view. Garage PLUS 81 m², 2 bedroom, 2 story apartment, 57 m² + 32m² guest house with wash room. Ideal for receiving guests or as a rental space. 1400 m² flat and wooded site. 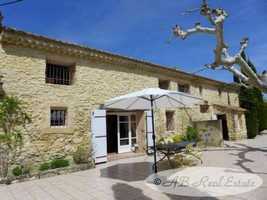 This lovely stone Mas is set in an ideal location in the Avignon area, Provence, South of France. A delightful Mediterranean garden surrounds this wonderful 18th C. property. The house offers all modern comforts, bedrooms of generous proportions and 7 out of the 8 have large en-suite bathrooms, all recently renovated. 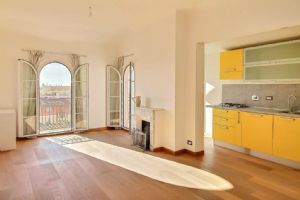 Apart from the main living area of 475m2, the property has an independent apartment 75m2. Lots of character- authentic Provencal ceilings, exposed stone walls, terracotta flooring. Exceptional Bastide for sale in Draguignan ! In the absolute quietness, superb charming old stone bastide, fully renovated with taste and high quality materials, with impressive openings and volume, especially in the extension added in 2008. Fantastic view over the 1 hectare private park ! This incredible park has a large traditional high end saltwater pool with a large south facing terrace made of Burgundy stone. Penthouse for sale in Nice. Unique penthouse with terrace overlooking the Mediterranean sea and the whole bay of Nice. Prestigious address, perfectly located, quiet, a short drive to the harbor and with a proper breathtaking panoramic view ! This outstanding penthouse and its 70 m² (754 sq ft) terrace is almost floating over the sea. This beautiful villa, which offers 200sq m of living space set in easily-maintained grounds of 500sq m, is located on the chic Cap d'Antibes. It provides a bright spacious living room with fireplace opening onto the terrace which faces the sea, 4 bedrooms (including 1 master bedroom overlooking the swimming pool), 1 bathroom, 2 wash rooms, 1 fitted and equipped kitchen, 4 WCs and parking for 2 vehicles. Quick viewing recommended.